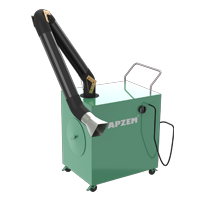 Portable two stage Mechanical Dust collectors | Apzem, India. 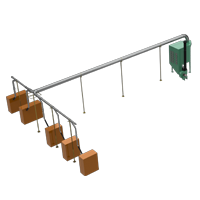 Portable two stage Mechanical Dust collectors. 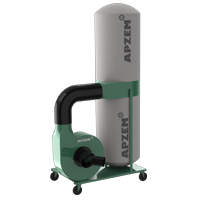 Portable Two stage mechanical dust collectors are more efficient and lasts longer than any single stage dust collector . 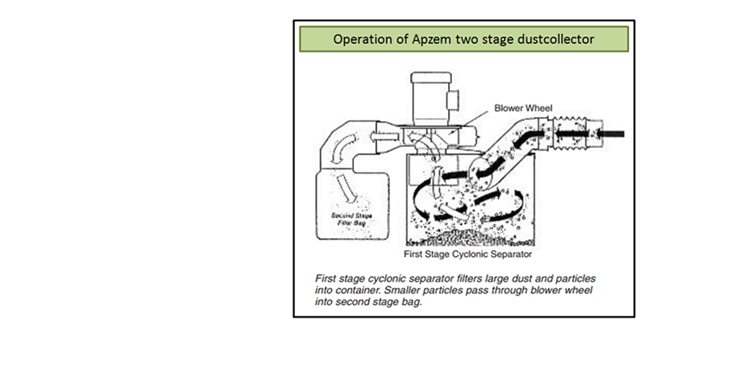 Here more heavier dusts are collected in drum by cyclonic action (first stage) and only finer dusts pass through blower impeller and collected in filter bag (second stage). Since most of the dusts are collected in drum before blower entry, the abrasive action of dusts on impeller and casing causing blower imbalance is very much negligible than single stage dustcollector. 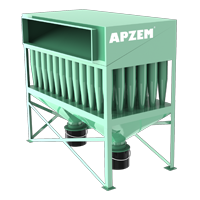 All Apzem dustcollectors are build with outmost quality, efficiency and safety. Complying with all national and International standards. All our portable dustcollectors comes with industrial grade castor wheel for greater portability and Longer life. Prolonged Exposure to dusts of sizes less than 10 microns (PM10) & less than 2.5 microns (PM2.5), affects Lungs directly and are responsible for Asthma attacks and respiratory problems. 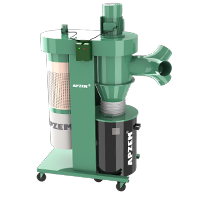 The dusts produced in any industrial processes should be effectively captured using hood, transported through ducts and filtered and then exhausted to atmosphere through dust collector machine and chimney. 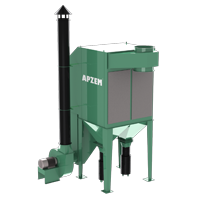 The critical part in designing a proper dust collection system for any industry is directly depends on number of machines, dust loads, hood design, duct design , duct velocity etc. 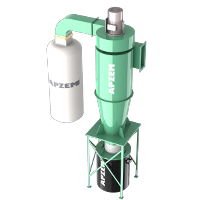 Apzem had a strong team of Consultants & engineers having vast knowledge in Air pollution control domain, and with expertise gained in designing and installation of dust collection system for varied kind of industry across the country helps us to custom build dustcollectors, hoods and ducts both efficiently and economically to our customers. 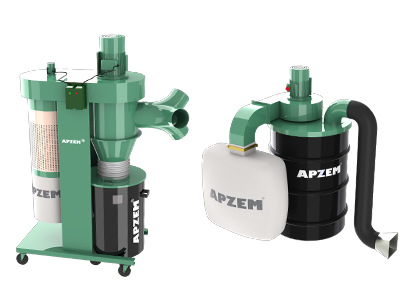 Other than our portable Two stage mechanical dustcollectors / Industrial dust collectors, other Apzem&apos;s cartridge, cyclone and Bagfilter dust collector & Dust Collection System can be customized for your specific applications.